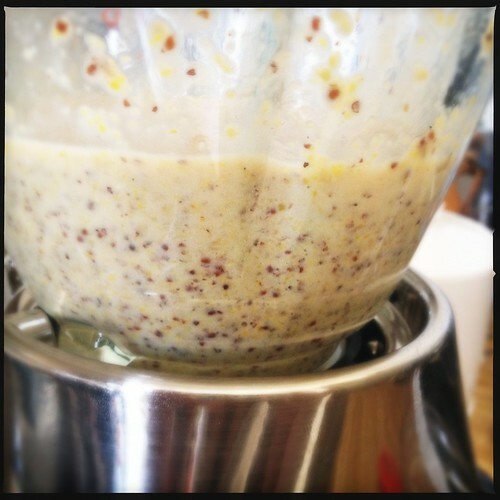 It turns out that making mustard is very, very easy. Whatever you add, all mustard starts the same. 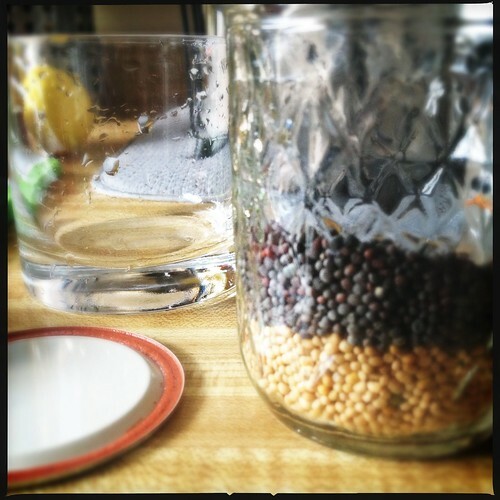 You must soak the mustard seeds in vinegar overnight. 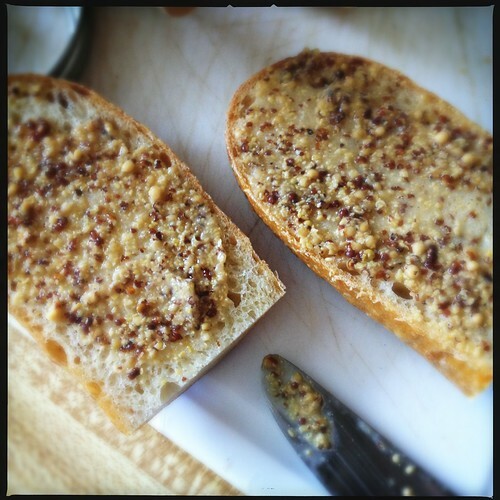 I use a half and half combination of yellow and brown mustard seeds. 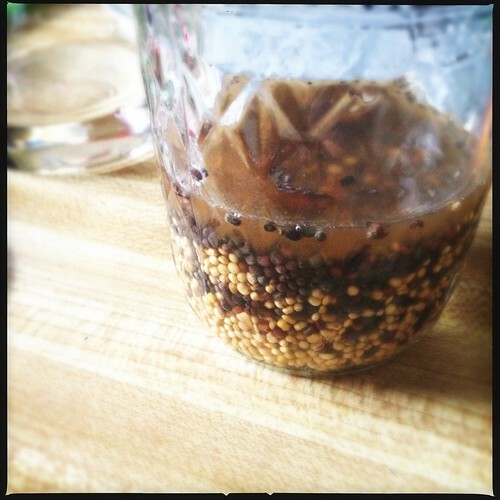 Then I cover the seeds with vinegar plus about 1/2-1″. 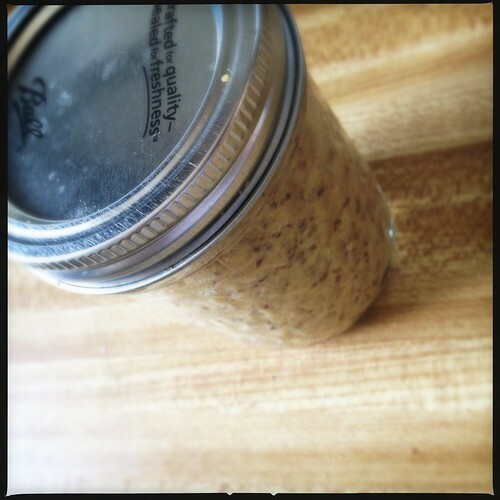 The next morning, blend the seeds and vinegar until they become a paste. At this point you should add more liquid. I used beer. 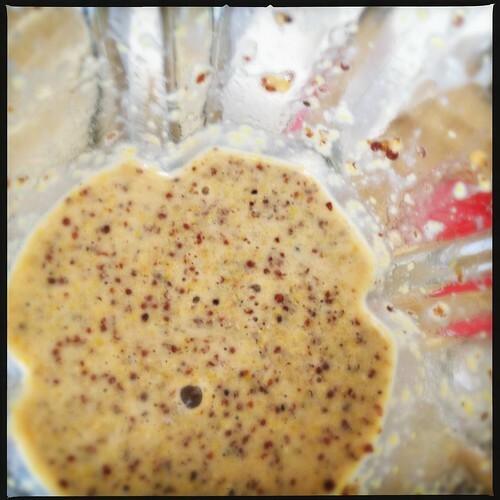 Add a little at a time until the mustard has a more liquid consistency. This is completely up to you and is very difficult to get “wrong”-so don’t worry about it too much. This is also when you should add salt and a sweetener if you would like. I used honey. 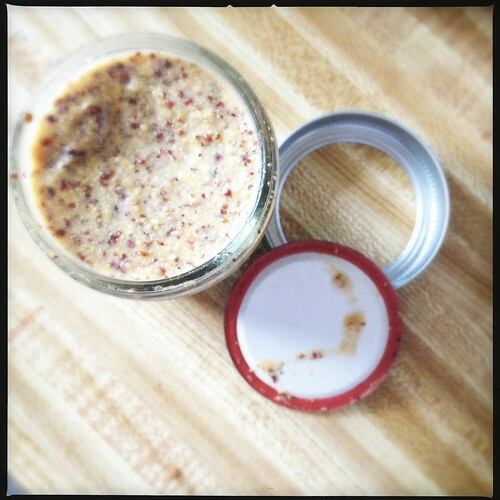 Pour the completed mustard into a jar. 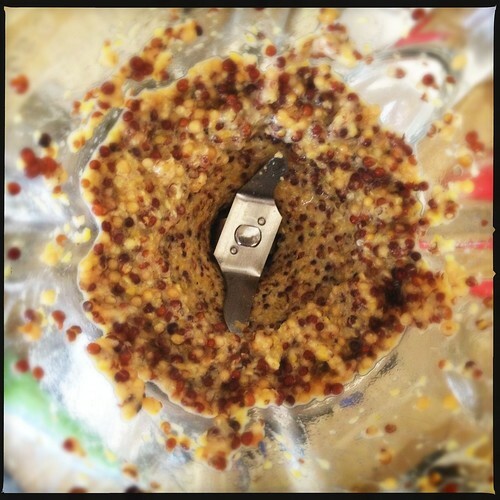 Loosely tighten the cap and allow the mustard to sit on the counter for 1-2 days. This will allow the flavors to blend and mellow. After that tighten the lid and store in the fridge. You will never buy mustard again.